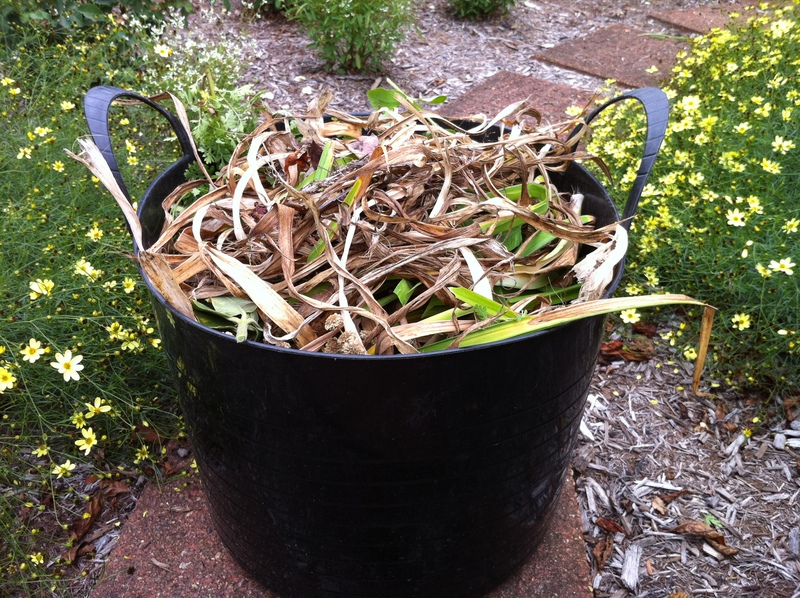 Today when I walked out into my garden I was struck by how sick many of the daylilies look. 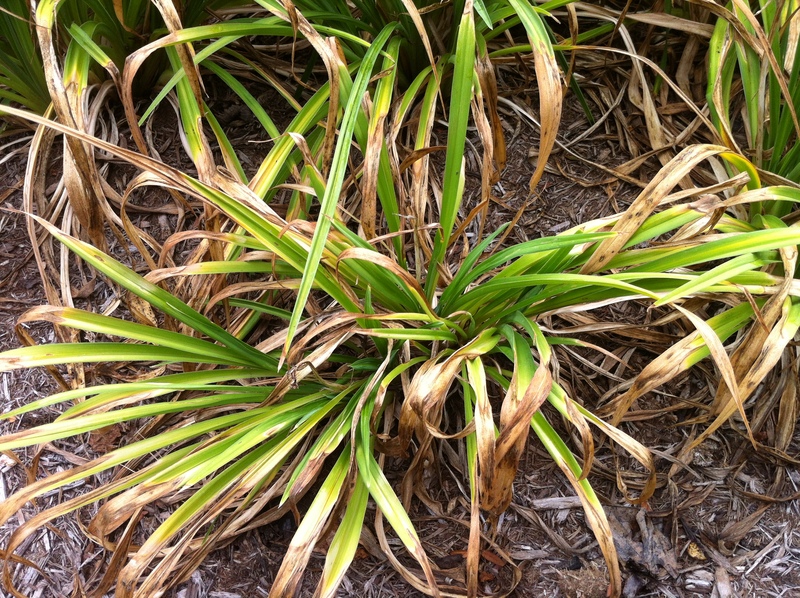 Daylilies can usually take the heat but we are now into our 8th week of drought. 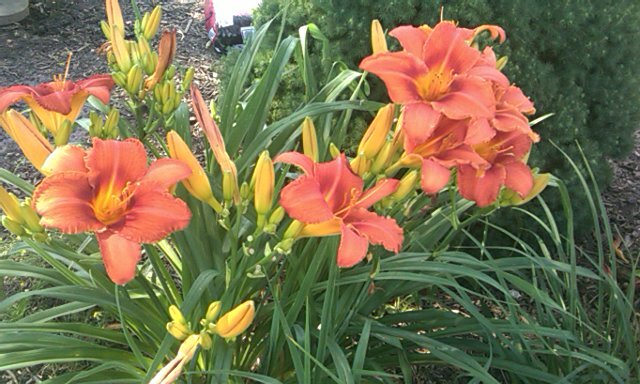 I really like daylilies but I LOVE roses and tomatoes, so all of the water we have to spare is dedicated to the favored ones –lucky are the daylilies and other companions that live close to the roses and tomatoes. …. These guys are not so lucky and are in need of some serious help! Today I cut back all the brown, shaped them, gave them a strong dose of MooPoo Tea and hope they are on their way to health again but nothing replaces rain! How are things in your garden today? Are you getting any rain? 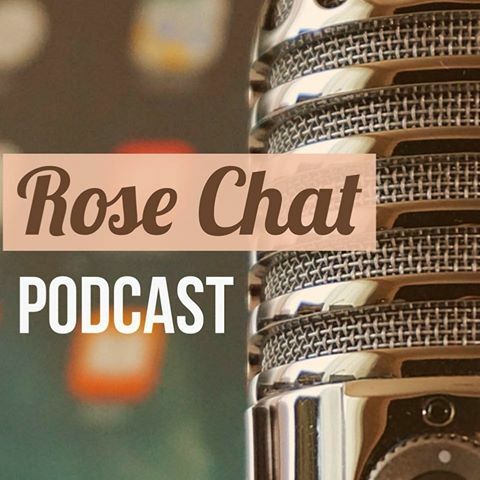 I love your priorities…roses and tomatoes! I just came in from checking on my greenhouse tomatoes and the roses, of course. 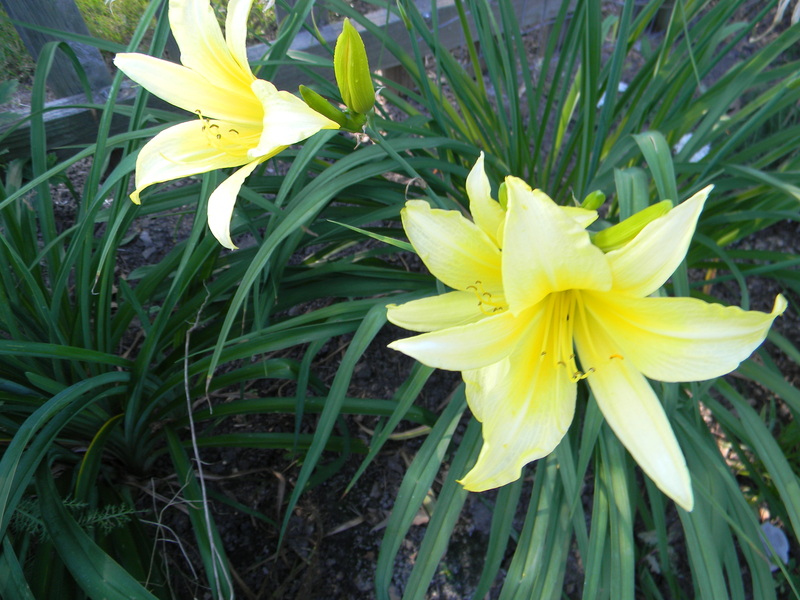 Your pictures of the day lilies that have bloomed are lovely. Mine have had enough water but they look sulky at present. I guess they don’t like the heat we’ve had here on Vancouver Island. We are normally quite mild. Too much heat makes me sulky too. So you have a greenhouse. That sounds nice! Thanks for stopping by. We haven’t got much rain here either, but I have a much smaller garden to water than you so I understand your needing to take care of your priorities first. The lilies look pretty nice after you trimmed them up. I hope they’ll snap back for you. 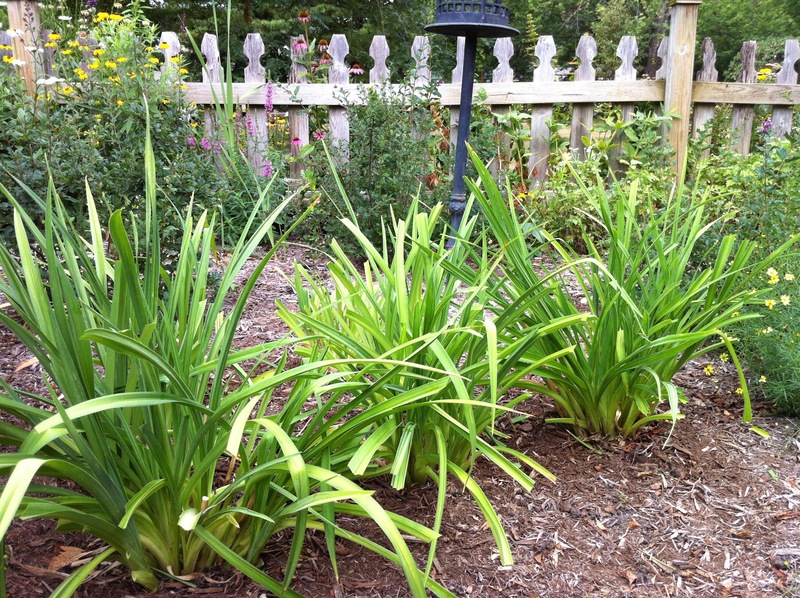 I’m with you on the roses and tomatoes, but I hope your daylilies bounce back and stay strong over winter. Good luck! 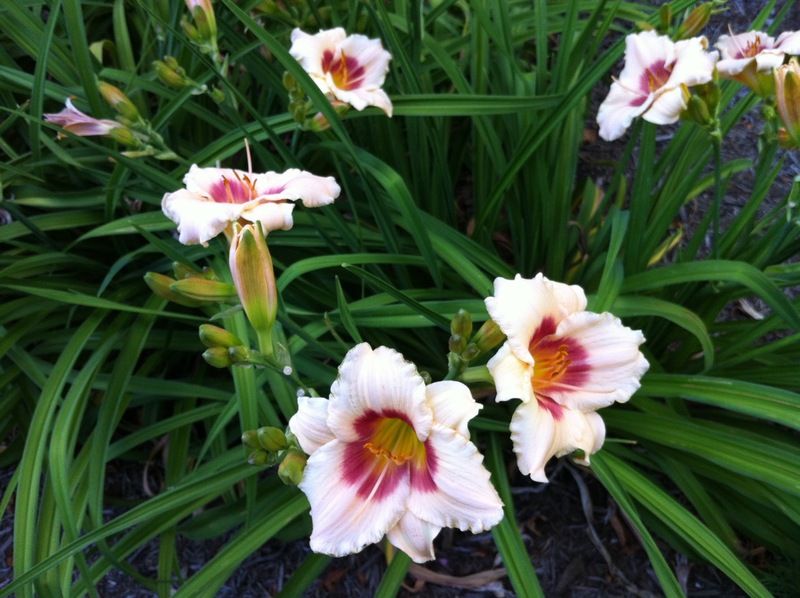 We’ve had rain this week and things are looking so much better even the daylilies! I even have a few blooms.